Happy birthday to musicians Patrick Moraz,, who was a member of both Progressive Rock band Yes and The Moody Blues and was born 24 June 1948 And Clint Warwick, who was the bass player with the Moody Blues, and was born 25 June 1940. Yes achieved worldwide succes with their progressive music, mystical lyrics, elaborate album art, live stage sets and symphonic style of rock music. They are regarded as one of the pioneers of the progressive genre. They were Formed in 1968 by Jon Anderson and Bill Bruford and released two albums together but began to enjoy success after the release of The Yes Album and Fragile,which featured new arrivals Steve Howe nd Rick Wakeman. They achieved further success with the albums Close to the Edge and Tales from Topographic Oceans.Wakeman was replaced by Patrick Moraz, who played on Relayer (1974). Wakeman returned on Going for the One (1977) and Tormato (1978). Anderson and Wakeman left the group due to musical differences amongst the band in 1980, and both went on to pursue solo careers. Their replacements, Trevor Horn and Stee Downes, featured on Drama (1980) and its supporting tour before disbanding in 1981. Howe and Downes went to form Asia.Yes reformed in 1982 after Squire and White were joined by the returning Jon Anderson and T0ny Kaye, with the addition of guitarist Trevor Rabin. They adopted a pop rock sound and released the number one single “Owner of a Lonely Heart” and 90125 (1983), their best-selling album to date, followed by Big Generator (1987). Anderson left and co-formed the side project Anderson Bruford Wakeman Howe with the named members in 1989. Following a legal battle amongst both Yes groups, they formed an eight-man band to perform on Union (1991) and its supporting tour. Rabin and Kaye featured on Talk (1994) before leaving, while Wakeman and Howe returned with Keys to Ascension (1996) and Keys to Ascension 2 (1997). Wakeman wasthen replaced by Igor Khoroshev, who was featured on Open Your Eyes (1997) and The Ladder (1999) along with guitarist Billy Sherwood. The release of Magnification (2001) marked the first album since 1970 to feature an orchestra.In 2002, Wakeman returned for the band’s 35th anniversary tour. The band ceased to tour in 2004, partly due to health concerns regarding Anderson and Wakeman. Following a hiatus, Yes restarted in 2008 with keyboardist Oliver Wakeman and singer Benoît David. After the release of Fly from Here (2011), which saw Downes returning on keyboards, David was replaced by Jon Davison, lead singer of progressive rock band Glass Hammer, on vocals. The band’s current line-up consists of singer Jon Davison, bassist Chris Squire,guitarist Steve Howe, drummer Alan White, and keyboardist Geoff Downes, and they continue to perform to this day, more than 40 years since their formation. The Moody Blues formed on 4 May 1964, in Erdington, Birmingham, England containing Ray Thomas, John Lodge, Graeme Edge and Michael Pinder The name was a a subtle reference to the Duke Ellington song, “Mood Indigo. They released a single, “Steal Your Heart Away” in 1964 and appeared on the cult UK series “Ready Steady Go!” singing the uptempo “Lose Your Money (But Don’t Lose your Mind)”. But it was their second single, “Go Now” which launched their career & became a hit in the United Kingdom. Their debut album The Magnificent Moodies contained the hit singles “Go Now” and “Bye Bye Bird” together with one side of classic R&B covers. including a cover of “I Don’t Want To Go On Without You”,”From The Bottom of My Heart (I Love You)”, “Everyday”,”This is My House (But Nobody Calls)” and and “Boulevard de la Madeleine”.The group released the singles “Fly Me High” and “Really Haven’t Got the Time” in 1967 followed by “Love And Beauty” & “Leave This Man Alone”. The Moody Blues were then offered a deal to make a rock and roll version of Antonín Dvořák’s New World Symphony, and although executives were initially skeptical about the hybrid style of the resulting concept album. Days of Future Past became one of the most successful pop/rock releases of the period, earning a gold record award. It takes place over the course of a single day & drew inspiration from the pioneering use of the classical instrumentation by The Beatles. It includes the songs “Nights in White Satin” & “The Sun Set” “Another Morning”, “Twilight Time”,”Peak Hour” and “Evening (Time To Get Away)”. The 1968 follow-up LP, In Search of the Lost Chord included the songs “Legend of a Mind”,”House of Four Doors”,”Voices in the Sky”, “Ride My See-Saw” and “The Best Way To Travel”.The 1969 album On the Threshold of a Dream contained the songs “In The Beginning”,”Lovely To See You”,”Never Comes The Day”,”Dear Diary” and “Lazy Day”,”So Deep Within You”,”The Dream”&”Have You Heard”. 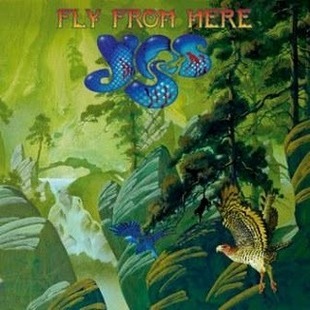 The band’s music continued to become more complex and symphonic,resulting in 1969′s To Our Children’s Children’s Children which was inspired by the first moon landing.and contained the songs “Higher And Higher” “Floating” and “Eternity Road” “Gypsy”,”Out And In” the two part “Eyes of A Child” and “Candle of Life””Sun is Still Shining”. and “Watching and Waiting”. The Moodies had a somewhat psychedelic style and progressive rock sound, the group next album was A Question of Balance (1970) & contained the songs “Question” and “Melancholy Man”. For their next two albums, Every Good Boy Deserves Favour (1971) and “Seventh Sojourn”the band returned to their signature orchestral sound.These contained the songs “Procession”, “Story in Your Eyes” “Our Guessing Game”,”You Can Never Go Home”, “One More Time To Live”, “My Song” and “Nice To Be Here”. The Album “After You Came” (1971) featured “Isn’t Life Strange ?” “I’m Just A Singer (in A Rock ‘n’ Roll Band)”,”Sojourn”,”Lost in A Lost World” “When You’re A Free Man”, “For My Lady”, and “New Horizons”. In late 1972, a re-issue of the five-year-old Nights in White Satin became the Moody Blues’ biggest US hit. The Moodies were also among the pioneers of the idea that a successful rock band could promote itself through their own label, so following the Beatles’ creation of Apple Records, they created Threshold Records. However it proved unsuccessful although They did lay the groundwork for other major acts to set up similar personal labels and distribution deals including The Rolling Stones’ own label and Led Zeppelin’s Swan Song Record label.In the spring of 1974, after completing a vast world tour that culminated with a tour of Asia, the group took an extended break and released a compilation album This Is The Moody Blues. Justin Hayward and John Lodge then released the album, Blue Jays, and a single, “Blue Guitar”. Mike Pinder released a album The Promise.” Edge produced two albums with guitarist Adrian Gurvitz, Kick Off Your Muddy Boots and Paradise Ballroom; Hayward composed the albums Songwriter, followed by Night Flight, Moving Mountains, Classic Blue, The View From The Hill and Live In San Juan Capistrano; Lodge released Natural Avenue; Pinder produced The Promise; and Thomas produced From Mighty Oaks and Hopes, Wishes and Dreams. In 1977, the group reunited and despite many problems The album Octave was released in 1978 contining “Steppin’ in a Slide Zone” & “Driftwood”. Around this time Justin Hayward enjoyed a solo hit with the song “Forever Autumn” from Jeff Wayne’s Musical Version of The War of the Worlds. The next album ,Long Distance Voyager,was released in 1981 and yielded two hits, “The Voice” &”Gemini Dream”. and the band embraced a more modern, less symphonic approach, while still retaining a lush keyboard-led sound. The next album The Present yeilded the singles “Blue World” and”Sitting at the Wheel”. In 1986 they released the album The Other Side of Life, containing “Your Wildest Dreams”which garnered a Billboard Video of the Year award,as well as the songs “House of Four Doors”, “Candle of Life” and “One More Time To Live” “Here Comes The Weekend”, “Rock and Roll Over You”, “Love is On The Run (From Me)”, “The Actor”, “Dawning is the Day”, “You Can Never Go Home”& “The Land of Make Believe”. Mick Fleetwood from Fleetwood Mac was born 24 June 1947 The band.were formed in 1966 in London. Although band founder Peer Green named the group by combining he surnames of two ofhis former bandmates (Fleetwood, MVie) from Joh Mayall’s Bluesbreakers Christine Mc vie who joined the band in 1970 while married to John McVie,, Green asked if drummer Mick Fleetwood couldjoin having already been in two ands with Fleetwood—”Peter B’s Looners” and the subsequent “Shotgun Express” (which featured a young Rod Stewart as vocalist).The Bluesbreakers now conssted of Green, Fleetwoo John McVie and Mayall. .Soon after, Green cotacted Fletwood to form a new band. The pair wanted McVie on bass guitar and even named the band ‘Fleetwood Mac’ as a way to entice him. Sadly Peter Green left and In September 1970, Fleetwood Mac released Kiln House. Kirwan’s songs moved the band in the direction of rock. Meanwhile, Spencer’s contributions focused on re-creating the country-tinged “Sun Sound” of the late 1950s. Christine Perfect, contributed to Kiln House, singing akup vocals, and drawing the album cover and was asked to join the band. They also released a single at that time; “Dragonfly” b/w “The Purple Dancer” .Christine Perfect then married to bassist John McVie, and made her first appearance with the band as Christine McVie at Bristol University in May 1969 and played her first gig as an official member on 6 August 1970 in New Orleans. an album of previously unreleased material from the original Fleetwood Mac called The Original Fleetwood Mac was also released and was relatively successful. Then While on tour in 1971, Jeremy Spencer disappeared After several days of frantic searching, the band discovered that Spencer had joined a religious group, the Children of God. the band decided to search for a new guitarist. So In the summer of 1971 the band held auditions for a guitarist and hired Bob Welch .In September 1971, the band released Future Games. This album was different from anything the band had done up to that point, and there were many new fans in America who were becoming more and more interested in the band. six months after the release of Future Games, the band released the well-received album Bare Trees. Though mostly composed by Kirwan, Bare Trees featured Welch’s “Sentimental Lady”, which would be a much bigger hit for him five years later when he re-recorded it for his solo album French Kiss, backed with Mick Fleetwood and Christine McVie. It also featured “Spare Me a Little of Your Love”, a bright Christine McVie tune that became a staple of the band’s live act throughout the early to mid-1970s, sadly While on tour Danny Kirwan developed an alcohol dependency and became alienated from Welch and the McVies umtil Fleetwood was finally convinced that he had no choice but to fire Kirwan.The next two and a half years proved to be the most challenging for the band. In the three albums they released in this period, they constantly changed line-ups. In September 1972, the band added guitarist Bob Weston and vocalist Dave Walker, formerly of Savoy Brown and Idle Race.Fleetwood Mac also hired Savoy Brown’s road manager, John Courage. Mick, John, Christine, Welch, Weston, and Walker recorded Penguin, which was released in January 1973. After the tour, the band fired Walker The remaining five carried on and recorded Mystery to Me six months later. This album contained the song “Hypnotized” which got a lot of airplay on the radio and became one of the band’s most successful songs to date. However, things were not well within the band. The McVies’ marriage at this time was under a lot of stress, which was aggravated by their constant working with each other, and John McVie’s considerable alcohol abuse. During the tour, Weston had an affair with Fleetwood’s wife, Jenny Boyd Fleetwood, the sister of Pattie Boyd Harrison. 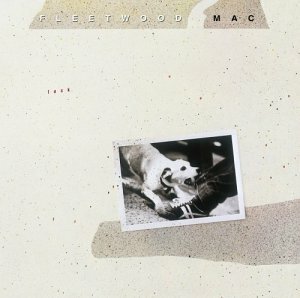 Fleetwood soon fired Weston and the tour was cancelled and in one of the most bizarre events in rock history, the band’s manager, Clifford Davis, claimed that he owned the name Fleetwood Mac and put out a “fake Mac”. Nobody in the “fake Mac” was ever officially in the real band, Fans were told that Bob Welch and John McVie had quit the group, and that Mick Fleetwood and Christine McVie would be joining the band at a later date. Fleetwood Mac’s road manager, John Courage, hid the real Fleetwood Mac’s equipment, which helped shorten the tour by the fake band. But the lawsuit that followed put the real Fleetwood Mac out of commission for almost a year. The issue was who actually owned the name “Fleetwood Mac”. While it would seem obvious that the band was named after Fleetwood and McVie, they had signed contracts that showed the band forfeited the rights to the name. The “real” Fleetwood Mac were in fact Fleetwood, Welch and the McVies. While this did not end the legal battle, the band was able to record as Fleetwood Mac again. 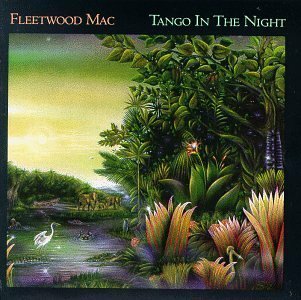 Instead of getting another manager, Fleetwood Mac decided to manage themselves.The fake Mac consisted of Elmer Gantry (vocals, guitar), Kirby Gregory (guitar), Paul Martinez (bass), John Wilkinson (keyboards) and Craig Collinge (drums). Gantry and Gregory went on to become members of Stretch, Gantry later joined The Alan Parsons Project and Martinez eventually became a bassist for Robert Plant’s solo efforts. The real Fleetwood Mac, released Heroes Are Hard to Find in September 1974. For the first time in its history, the band had only one guitarist. On the road, they added a second keyboardist Doug Graves. After Welch announced that he was leaving the band, Fleetwood began searching for a possible replacement. While Fleetwood was scouting Van Nuys, California,Mick Flletwood heard a song titled “Frozen Love” by an American band, Buckingham Nicks. Fleetwood liked it, and was introduced to the guitarist from the band, Lindsey Buckingham, who coincidentally was at Sound City that day recording some demos. Fleetwood soon asked him to join. Buckingham agreed, on the condition that his musical partner and girlfriend, Stephanie “Stevie” Nicks, also become part of the band; Fleetwood agreed. Buckingham and Nicks joined the band on New Year’s Eve 1974. In 1975, the new line-up released the eponymous Fleetwood Mac. The album proved to be a breakthrough for the band and became a huge hit, Among the hit singles from this album were Christine McVie’s “Over My Head” and “Say You Love Me”, and Stevie Nicks’ “Rhiannon” and “Landslide” . with the success of the band also came the end of John and Christine McVie’s marriage, as well as Buckingham and Nicks’ long term romantic relationship. Even Fleetwood was in the midst of divorce proceedings from his wife, Jenny. The pressure put on Fleetwood Mac to release a successful follow-up album, combined with their new-found wealth, led to creative and personal tensions, fuelled by high consumption of drugs and alcohol.The album the band members released in 1977 was Rumours, in which they laid bare the emotional turmoil experienced at that time. Critically acclaimed, it was the recipient of the Grammy Award for Album of the Year for 1977. Hit singles included Buckingham’s “Go Your Own Way”, Nicks’s U.S. No.1 “Dreams” ( sample (help·info)), and Christine McVie’s “Don’t Stop” and “You Make Loving Fun”. Buckingham’s “Second Hand News”, Nicks’ “Gold Dust Woman” and “The Chain”. In a 2013 interview on ‘Top Gear’, Mick Fleetwood stated that the album had sold ‘nearly 50 million copies’. Lindsey Buckingham left and Following his departure, Fleetwood Mac added two new guitarists to the band,Billy Burnette and Rick Vito. Burnette had already worked with Mick Fleetwood in Zoo, with Christine McVie as part of her solo band, did some session work with Stevie Nicks and even backed Lindsey Buckingham on Saturday Night Live. Furthermore, Fleetwood and Christine McVie played on his Try Me album in 1985. Vito, a Peter Green admirer, played with many artists from Bonnie Raitt to John Mayall, and even worked with John McVie on two Mayall albums.Capitalising on the success of Tango in the Night, the band continued with a Greatest Hitsalbum in 1988. It featured singles from the 1975–88 era, and included two new ompositions: “No Questions Asked” written by Nicks, and “As Long as You Follow” written by McVie and Quintela. The Greatest Hits album, which peaked at No.3 in the UK and No.14 in the US (though has since sold over 8 million copies there), was dedicated to Buckingham by the band, with whom they had now reconciled.Following the Greatest Hits collection, Fleetwood Mac recorded the album Behind the Mask, which included McVie’s “Save Me”. The subsequent “Behind the Mask” tour saw the band play sold out shows at London’s Wembley Stadium, and on the final show in Los Angeles, the band were joined onstage by Buckingham. The two women of the band, McVie and Nicks, had decided that the tour would be their last (McVie’s father died during the tour) though both stated that they would still record with the band. However, in 1991, both Nicks and Rick Vito announced they were leaving Fleetwood Mac altogether.In 1992, Fleetwood himself arranged a 4-disc box set spanning highlights from the band’s 25 year history, titled 25 Years – The Chain. The box set, included a brand new Stevie Nicks/Rick Vito composition, “Paper Doll”,here were also two new Christine McVie compositions, “Heart of Stone” and “Love Shines”, and Lindsey Buckingham also contributed a new song, “Make Me a Mask”, Mick Fleetwood also released a deluxe hardcover companion book to coincide with the release of the box set, titled My 25 Years in Fleetwood Mac. The volume featured many rare photographs and notes (written by Fleetwood himself) detailing the band’s 25 year history. later, the Twister film soundtrack was released, which featured the Stevie Nicks-Lindsey Buckingham duet, “Twisted”, with Mick Fleetwood on drums. This eventually led to a full Rumours line-up reunion when the band officially reformed in March 1997. The regrouped Mac performed a live concer and from this performance came the 1997 live album The Dance, bringing Fleetwood Mac back to the top of the US album charts for the first time in 15 years. They also released the 20th anniversary of their Rumours album. However, this would be the final foray of the classic line-up with Christine McVie.Stevie Nicks and Lindsey Buckingham on the Say You Will Tour, 2003In 1998, Fleetwood Mac (Mick Fleetwood, John McVie, Christine McVie, Stevie Nicks, Lindsey Buckingham, Peter Green, Jeremy Spencer and Danny Kirwan) were inducted into the Rock and Roll Hall of Fame and performed at the Grammy Awards program that year. They were also the recipients of the “Outstanding Contribution to Music” award at the BRIT Awards(British Phonographic Industry Awards) the same year.In 1998, Christine McVie left the band permanently, Her departure left Buckingham and Nicks to sing all the lead vocals for the band’s 2003 album,Say You Will, although Christine did contribute some backing vocals and keyboards. The album yielded chart hits with “Peacekeeper” and the title track, and a successful world arena tour which lasted through 2004. In 2008 it was reported Sheryl Crow would be working with Fleetwood Mac in 2009. Crow and Stevie Nicks collaborated a great deal in the past andthe group will start working on material and recording probably in October, and finish an album.” On 7 October 2008, Mick Fleetwood confirmed that the band were working in the studio and announced plans for a world tour in 2009.In late 2008, Fleetwood Mac announced that the band would tour in 2009, The tour was branded as a ‘greatest hits’ show entitled Unleashed, although they played album tracks such as “Storms” and “I Know I’m Not Wrong”. Stevie Nicks also premiered part of a new song that she had written about Hurricane Katrina. The Very Best of Fleetwood Mac was re-released in an extended two-disc format.On 1 November 2009, a new one-hour documentary, Fleetwood Mac: Don’t Stop, was shownwhich included many outtkaes. There was also an episode of Glee (Season 2, Episode 19) entitled “Rumours” that featured six songs from the band’s 1977 album. 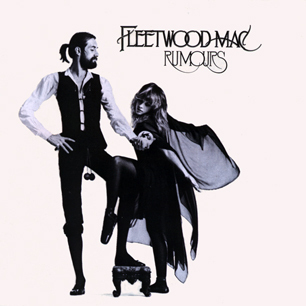 Was also broadcast sparking renewed interest in the band and its most commercially successful album, andRumours reentered the Billboard 200 chart, the same week that Stevie Nicks’ new solo album In Your Dreams. Fleetwood Mac reunited for a 2013 tour without some of the orginall members like Former guitarist and singer Bob Weston who was found dead on 3 January 2012, at the age of 64 and Former singer and guitarist Bob Welch was found dead of a self-inflicted gunshot wound on 7 June 2012, at the age of 66. During the tour The band performed two new songs (“Sad Angel” and “Without You”), but they are still uncertain if a new album will follow? In 1998, select members of Fleetwood Mac were inducted into the Rock and Roll Hall of Fame. Astro the percussionist with UB40 was born June 24 1957. Formed in 1978 in Birmingham, England, UB40 were named after the Unemployment Benefit form, in protest of widespread unemployment (As was the song “One in Ten” and have gone on to enjoy massive success, having placed more than 50 singles in the UK Singles Chart, and also achieving considerable international success.The band have also been nominated for the Grammy Award for Best Reggae Album four times, and in 1984, were nominated for the Brit Award for Best British Group. One of the world’s best-selling music artists, UB40 have sold over 70 million records. Among Their hit singles are their debut “Food for Thought” and two U.S. Billboard Hot 100 number ones with “Red Red Wine” and “Can’t Help Falling in Love”. Both of these also topped the UK Singles Chart, as did the band’s version of “I Got You Babe” featuring guest vocals from Chrissie Hynde of the Pretenders. Best known for being the bass guitarist with rock group Dire Straits, John Illsley was born 24 June 1949. Formed in 1977 by Brothers Mark (lead vocals and lead guitar)and David Knopfler (rhythm guitar and backing vocals), and friends John Illsley (bass guitar and backing vocals, and Pick Withers (drums and percussion), Dire Straits recorded a five-song demo tape which included their future hit single, “Sultans of Swing”, as well as “Water of Love”, “Down to the Waterline”, “Wild West End” and David Knopfler’s “Sacred Loving”. The group’s first album, was intitled Dire Straits the album had little promotion when initially released in the United Kingdom However, the album came to the attention of A&R representative Karin Berg, working at Warner Bros. Records in New York City. She felt that it was the kind of music audiences were hungry for, That same year, Dire Straits began a tour as opening band for the Talking Heads after the re-released “Sultans of Swing” which scaled the charts to number four in the United States and number eight in the United Kingdom. The song was one of Dire Straits’ biggest hits and became a fixture in the band’s live performances. Recording sessions for the group’s second album, Communiqué, took place in December 1978, Released in June 1979 Communiqué Featured the single “Lady Writer”, the second album continued in a similar vein as the first and displayed the expanding scope of Knopfler’s lyricism on the opening track, “Once Upon a Time in the West”. In 1980, Dire Straits werenominated for two Grammy Awards for Best New Artist and Best Rock Vocal Performance by a Duo or Group for “Sultans Of Swing.In July 1980 the band started recording tracks for their third album. Making Movies which featured longer songs with more complex arrangements, a style which would continue for the rest of the band’s career. The album featured many of Mark Knopfler’s most personal compositions. The most successful chart single was “Romeo and Juliet” and was released in October 1980. Dire Straits’ fourth studio album Love Over Gold, an album of songs filled with lengthy, experimental passages, was well received when it was released in September 1982, going gold in America and spending four weeks at number one in the United Kingdom, its main chart hit, “Private Investigations”, gave Dire Straits their first top 5 hit single in the United Kingdom, where it reached the number 2 position despite its almost seven-minute length, and became another of the band’s most popular live songs. along with “Industrial Disease”, a song that looks at the decline of the British manufacturing industry in the early 1980s. In 1983, a four-song EP titled ExtendedancEPlay was released while Love Over Gold was still in the album charts. It featured the hit single “Twisting By the Pool”. Dire Straits also embarked on a world tour. wgich resulted in The double album Alchemy Live, a recording of two live concerts of the group at London’s Hammersmith Odeon in July 1983, was released in March 1984. Dire Straits returned to the recording studios at the end of 1984 to record their biggest selling album to date, Brothers in Arms, which has so far sold over 30 million copies and contains the songs “Money for Nothing”, “Walk of Life”, “So Far Away”, “Your Latest Trick” and “Brothers in Arms”. Released in May 1985, Brothers In Arms entered the UK Albums Chart at number 1 and spent a total of 228 weeks in the charts, It went on to become the best-selling album of 1985 in the UK, “Money for Nothing” was also the first video ever to be played on MTV in Britain and featured guest vocals by Sting, who is credited with co-writing the song with Mark Knopfler, although in fact, it was just the inclusion of the melody line from “Don’t Stand So Close To Me”.Brothers in Arms was among the first albums recorded on digital equipment due to Knopfler pushing for improved sound quality The album’s title track is reported to be the world’s first CD single. The album is listed in the Guinness Book of World Records as the first compact disc to sell a million copies, and has been credited with helping to popularise the CD formaTheir sound drew from a variety of musical influences, including jazz, folk, blues, and came closest to beat music within the context of rock and roll. Despite the prominence of punk rock during the band’s early years, the band’s stripped-down sound contrasted with punk, demonstrating a more “rootsy” influence that emerged out of pub rock. Many of Dire Straits’ compositions were melancholic and they have gone on to became one of the world’s most commercially successful bands, with worldwide album sales of over 120 million. making them One of the world’s best selling music artists, and their fifth album, Brothers in Arms, has won many accolades. In November 2009, Dire Straits were honoured by the new PRS for Music Heritage Award. A special blue plaque was erected at Farrer House, Church Street, Deptford in south London, where the original group, Mark Knopfler, David Knopfler, John Illsley and Pick Withers once shared a council flat and performed their first ever gig in 1977. PRS for Music has set up the Heritage Award to recognise the unusual “performance birthplaces” of famous bands and artists. Dire Straits have also won numerous music awards during their career, including four Grammy Awards, three Brit Awards—winning Best British Group twice, and two MTV Video Music Awards. The band’ most popular songs include “Sultans of Swing”, “Romeo and Juliet”, “Tunnel of Love”, “Private Investigations” .Dire Straits’ career spanned 18 years. There were several changes in personnel over that period, leaving Mark Knopfler and John Illsley as the only two original bandmates who had remained throughout the band’s career. Dire Straits disbanded in 1995 when Mark Knopfler launched his career full time as a solo artist.